RecruitMilitary has held 43 events in Houston, drawing 20,297 attendees and 2,697 exhibitors. Attend this seminar, presented by Franchise Maven, to learn everything you need to know about the various types of franchise business opportunities available today. Extensive question and answer period. This will be all about answering questions you have on the franchise industry. Space is limited, so please register separately for this seminar at, rmvets.com/houston_fm. The Job Fair will take place in the Club Concourse, First Base side from 11:00am to 3:00pm. 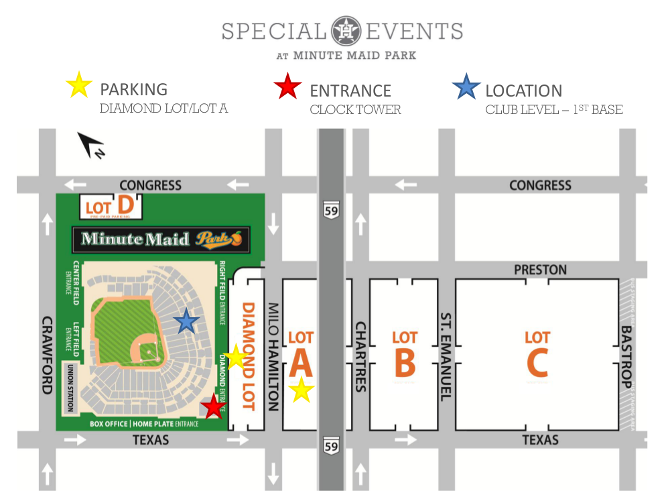 Plenty of FREE parking will be available in the Diamond Club Lot and Lots A,B,C. Please enter the event at the Clock Tower entrance off of the Diamond Lot (enter off Texas St. or Preston St.). There were excellent resources at this job fair and I was happy that I attended. Presenters were positive and friendly. There were a wide range of employers there. The number of high paying jobs available was very encouraging and motivated me to ensure I visited with every company.